Nature lovers and thrill-seekers have been using as a jumping-off point for their Northern California adventures since its June opening. Come winter, snow junkies can rent one of eight bunks in the Explorer's Room for the season and make the most of their lift tickets (the is only one block away). Basecamp owner Christian Strobel breaks down a perfect day in the neighborhood. 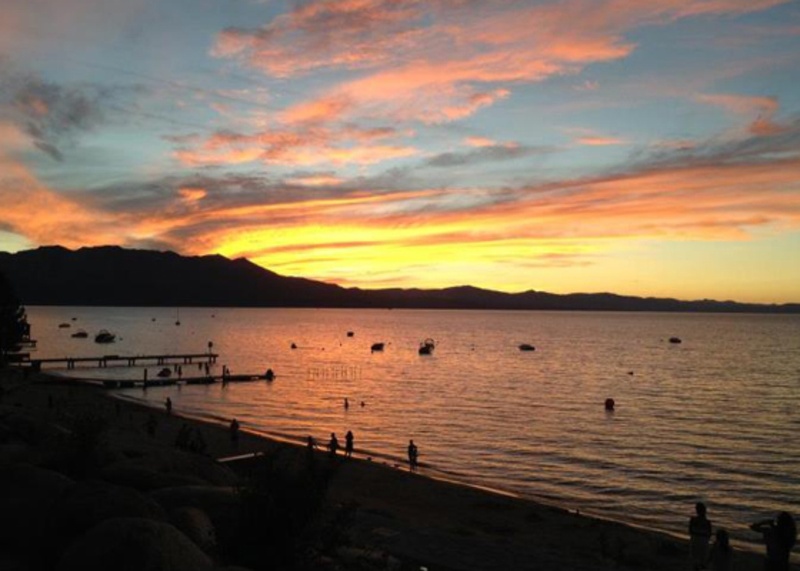 SOUTH LAKE TAHOE, California — Though it's the best starting point from which to explore the Lake Tahoe basin, South Lake Tahoe gets a bad rap as a casino/border town. 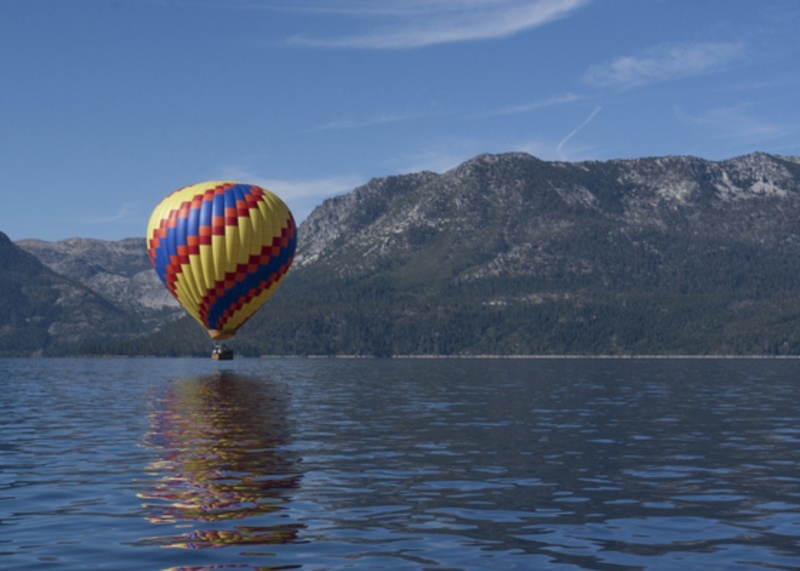 Outdoor enthusiasts can enjoy the lakes, trails, and scenery by way of rock climbing, golfing, fly fishing, kayaking, helicopter tours, zip-lining, ATV tours, or Jeep tours on the Rubicon Trail (one of the most famous off-roading trails in the world). A great breakfast is in order. Our favorite spot within walking distance of is the . Either the Breakfast of Champions oatmeal or an egg sandwich will start your day right. Really early risers can hitch a ride on a hot air balloon. Depending on the sunrise, rides leave anywhere from 5:15-6:45 a.m. and last about four hours. Morning means smooth, glassy water, making it the best time to rent stand-up paddle boards or a kayak from . Stand-up paddle boarding (we call it "sup") is a sport that has been gaining great momentum in Tahoe because of the scenic beauty and clarity of the water (you can see the bottom of the lake from your paddleboard to depths of 50+ feet). Feel like a pro? On Wednesdays at 6:30 p.m. there is a social racing series. Registration opens at 5:45 p.m. and costs $20. Time to hit the trails (bikes can be rented from in the center of town). There are few places better for mountain biking that the Tahoe Basin, and many of the best routes start a short ride away from Basecamp. 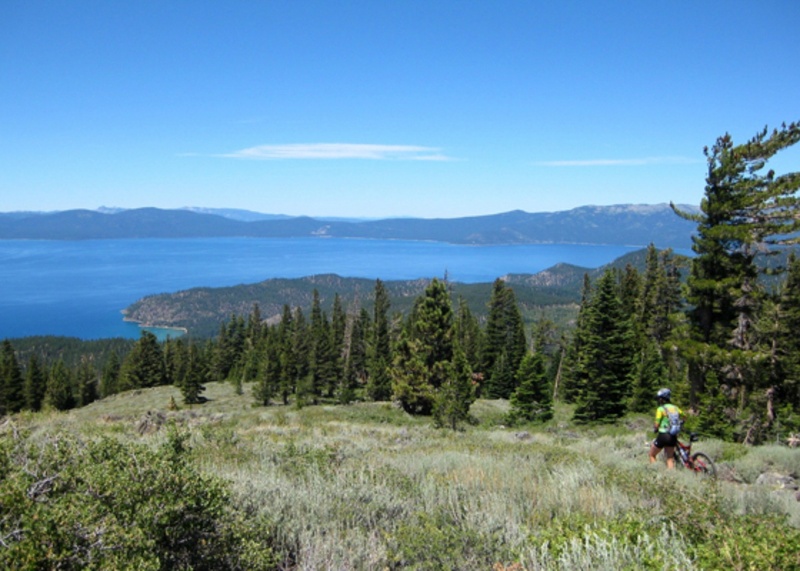 Powerline Trail, Cold Creek, and Star Lake take you up to the Tahoe Rim Trail. Follow it back to the Van Sickle Trail for spectacular views of the lake and an end-point about a mile from the hotel. Downhill on the Van Sickle is not for beginners, but if you can handle a bike, it is a great descent. I would argue Flume Trail is the most scenic trail in the world. Starting at Spooner Lake (where you can rent a bike for $10 from ), it's a long fire road climb to Marlette Lake, which you can jump in to cool off. From there, weave along a single track nestled along the edge of the mountain and take in epic views of Lake Tahoe at every turn. Take Tunnel Creek road down if you want to catch the shuttle ($15) back home. is one of the best lunch spots in town for wholesome cooking with plenty of vegan and vegetarian options. There's also a juice bar, where I like to order the Mean Green Machine: apples, bananas, oranges, spirulina, and soy protein for tired muscles. If you want to explore the basin by foot, you are spoiled for choices. The closest to the hotel, Van Sickle Trail, passes through , the nation's first bi-state park. It only takes fifteen minutes of hiking to see why it is the most exciting new trail in Tahoe. The landscape, rugged from a fire half a decade ago, is recovering rapidly. What it lacks in trees and shade it more than makes up for in views. To really blow your mind, climb up Mt. Tallac, the highest peak on the lake. For those looking for a long, full-day hike, Emerald Bay is less than 20 miles round-trip. (Start on the Eagle Lake trail and finish the climb on the Tallac.) You'll pass many lakes and get a peek into , one of the greatest wildernesses in California. Allow at least ten hours for this hike. Inexperienced hikers should try Floating Island Trail (9.4 miles) instead. A busy day on the trails can really work up an appetite. If the sun is still out, serves great, simple food at moderate prices and has an incredible deck with views of the . offers stunning lake views and a solid burger. is great for a couple of local beers. You'll have to clean up nice for dinner at . The tiny, 20-seat restaurant is probably the best meal in town. Chef Alex Elsaesser's imaginative use of ingredients fuses old-school technique with surprising, delightful twists. The restaurant books up fast, so think (and make a reservation) ahead of time. Want a wilderness nightcap? Back at Basecamp you can roast s'mores by the communal fire pit and swap stories with fellow travelers before hitting the hay. Fly: (RNO) is a little more than one hour away; (SMF) is two hours. runs a shuttle from the Tahoe Airport to drop-off points in South Lake Tahoe. Drive: from most nearby locations. Load up the car and go. 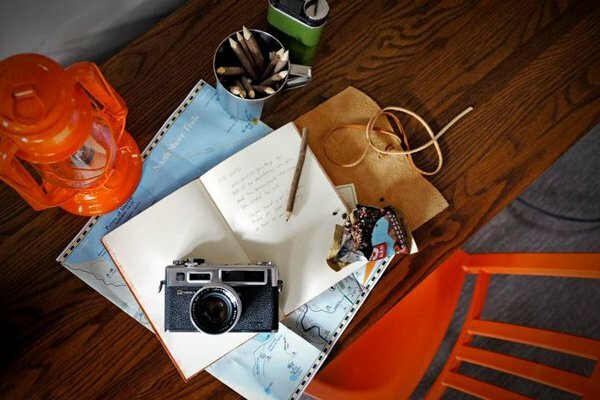 Check out our road trip shop. Best Day Ever: Glacier National Park Hike across Northern Spain. Check out Aspen in the off-season. Photos (from top): / Flickr; / Flickr; courtesy of Basecamp; Eva Kolenko. 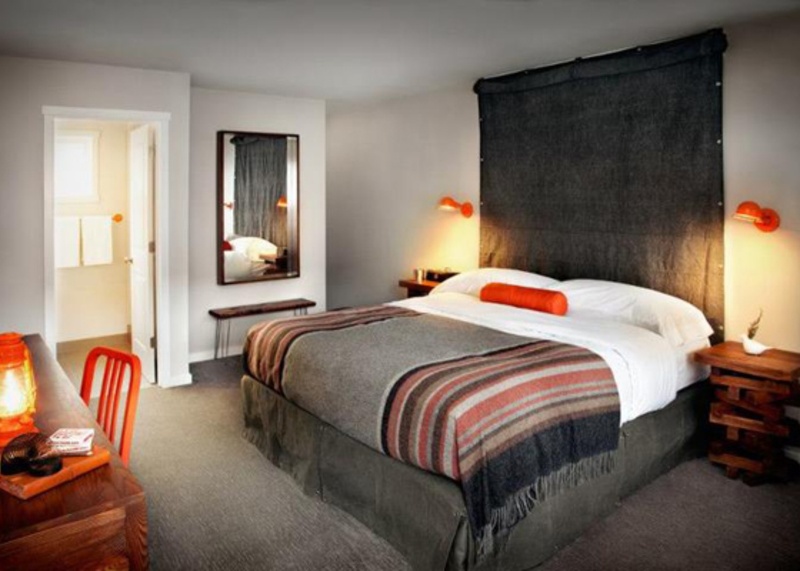 Christian is the owner of Basecamp Hotel in South Lake Tahoe. He travels for the thrill.